I was told recently, point blank, that “agriculture is a man’s world.” And I will freely admit that my first reaction was not a very pleasant one. Yes, it made me angry. Very angry. Are there certain situations that being a man is helpful? Sure. I must admit that there are many men stronger than I am, but then again, I’m also stronger than a lot of guys I know, too. It all boils down to the situation. But I also am quite certain that politics is not one of those situations. Your gender does not…and should not…EVER make an impact on your ability to be elected to serve in office. Yet, it became painfully obvious last weekend that we have so much work to do on this front. A farmer is required to be a person capable of wearing many hats – from accountant to nurse to scientist to engineer. A farmer’s head is full of so much information, and also full of contacts, for those questions that they can’t answer. A farmer knows how to make the best out of a sticky situation, and knows when to call in reinforcements. Facial hair has never been a requirement…although, I must admit, it would come in handy come winter. A farmer has a mouth that can communicate the needs of the farm, to a variety of audiences. From legislators to neighbors to school kids to friends and family – a farmer knows that in order to preserve our work for future generations, we need to start engaging people more. It does not matter if those lips are covered in lip stick, lip gloss, chapstick or whiskers…the message is the same. A farmer has broad shoulders – more in a figurative sense than anything. A farmer is able to carry the weight of the current growing season, worrying about changes in the weather, all while enjoying the miracle of each season. Whether it be watching a new calf learn to walk, watching a new crop erupt from the ground, watching baby chicks develop their first feathers, or watching a sick animal slowly recover – a farmer takes responsibility for what happens on the farm, good and bad. A farmer has strong hands. They are able to be involved in almost every aspect of the farm. From gently handling an injured animal, to convincing a rusty bolt to budge, to writing out checks to pay for inputs to folding them in prayer at the end of the day…a farmer’s hands hold more strength than many would guess. Whether or not your nails are polished doesn’t matter. Two different sets of hands working for a common goal…does it matter which were replaced with a woman’s hand? A farmer has a caring heart. A farmer strives to do what is best for the land…and the job…that she loves. This includes protecting the land for the generations to come. A farmer also knows that they are not in this fight alone, and that there are so many involved in the process of being successful. 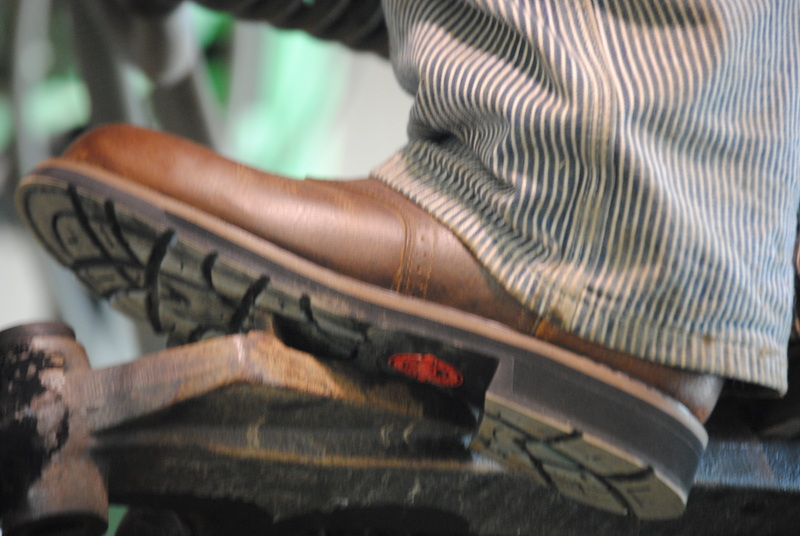 A farmer has a pair of feet that can walk miles in other’s shoes, and never skip a beat. A farmer can wear a pair of work boots all day, slip on a pair of dress shoes for church, a pair of tennis shoes for playing catch and a pair of flip flops for a day of fishing. The size of the heel doesn’t matter. Whatever the role of the farm may be, each person has an integral part in the success of the farm. And the only thing that determines the extent of involvement is the willingness to work hard, the flexibility to adapt to unexpected events and the passion to see something through to the end…and gender does not determine any one of those things. Agriculture a man’s world? I certainly hope not. Our industry would be missing a whole lot of talent if that were true. What makes a farmer? It has a whole lot more to do with who is on the inside, not the outside. This entry was posted in About me, Agvocacy, Politics and more and tagged agriculture, farm women, gender, politics, women farming by wagfarms. Bookmark the permalink. Beautiful reply to an otherwise upsetting comment. Glad you took that comment, dwelled on it, and turned it into something beautiful and productive! Nice post! What a wonderful post!! Thank you, thank you! I love my pretty Bogs, too. I was re-reading some of the 2012 US census statistics again last night and there’s one that always sticks out in my mind… 86% farmers are male. How is this even true? It is because of how the question is asked on the Census and the culture of the people who are answering. If the farm is owned by a couple, especially a couple of a certain age, they will answer this question that the primary business manager/ operator is the husband. Fantastic post, thank you for the article. At the age of 33 I became a farrier, along with working as a farrier for 20 years, I spent 15 of those managing (only employee) a 2800 acre ranch then a small farm, I never had a complaint that my work ethic or management skills were lacking due to my gender. I chose to leave the agribusiness industry to care for my elderly Mom, otherwise, I would still be hard at it at the age of 57. While the work is demanding, hot/cold, dirty, scarring, and geared toward a man by most people, I was fortunate to work for open minded individuals as well as having a mindset that I can do anything I set my mind to. There was a lot to learn about heavy equipment, controlled burns and working myself into a mans world, I was fortunate to have mentors willing to answer questions and support me. I raised my daughter from 9-21 on the ranch and further instilled in her the value of staying near the land, it’s something you can always go back to. Now I have a 4 year old granddaughter who rides horses and loves animals, who knows what her future will hold; regardless, she will know how to live on and with the land. Thank you! I am proud to share this with my friends who have watched us, and listened patiently as we’ve begun our adventure in farming. This is also why women are taking over small, organic farming all over the country – we have the ability to be generalists and to wear many hats, as you say. Thank you ,for giving us a voice! Pingback: Why is Farm Life for Me? Thank you for this post. I have dealt with the stereotypical roles all my life. Such an encouragement. Love the anatomy of a farmer. Thank you for the post! Hit the nail on the head! Recently my daughter went to state in FFA for her record book. This was her second year in a row. The chairman of the judges was very short and rude with her during her interview and wouldn’t make eye contact with her. He “found it hard to believe that she could possibly do all this” so she lost. Sad part is we farm and it’s me, my husband and our 2 GIRLS. he works a job 7-3 five days a week so it falls on us to do the majority of it. 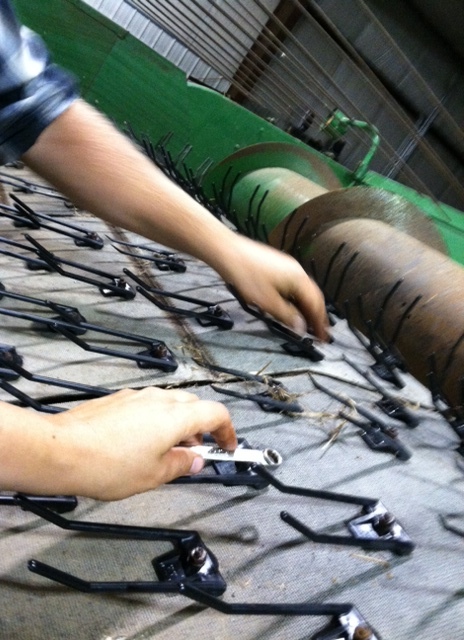 And we do anything from fixing things to field work and whatever needs done. I cannot imagine that there are still men that are that biased that they think females couldn’t possibly do what we do. Yeah my girls look like models, but that doesn’t mean they can’t farm, or hunt or shoot trap all of which they do! Even though girls are in ag and FFA men will still keep them back as much as they can and I think it’s because they know we will show them up! Fantastic!! I to recently did a post on my blog about this issue as well. I think you said it just as well, maybe even better. 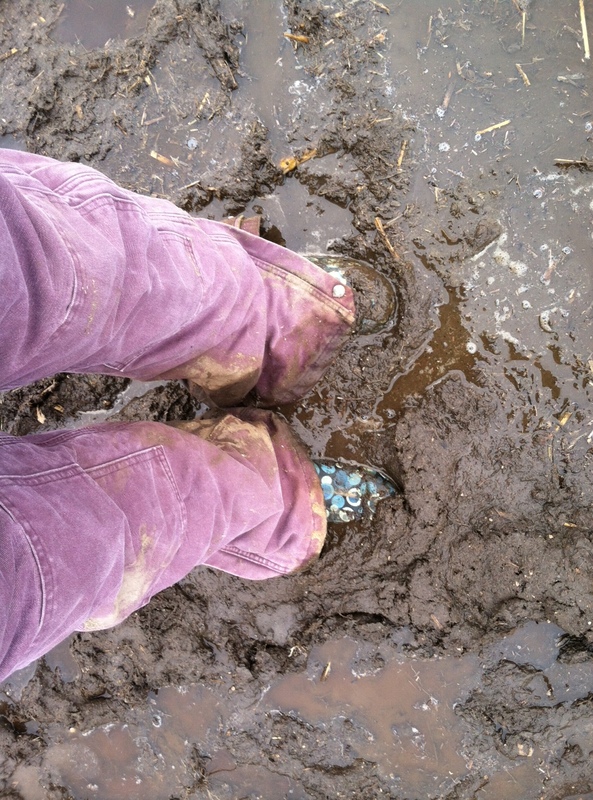 From a fellow Farm girl to another…. You go girl! Great post!! I am sorry to hear about the experience of Annette Pytlinski’s daughter at the FFA contest. It’s sad that some things have still not changed. In 1985, I was in a district FFA “job interview” contest. One of the judges asked me: “If it comes down to you and a man with a family to support…who should we hire?” My reply: “I think you should hire the most qualified person for the job, which in this case would be me.” I won the contest, but that question in particular ticked me off – why was it even asked? Beautiful! As a blogger for the Grand Forks CVB, I’ve followed your blog for a while (we’re always looking for perspectives from other North Dakotans), and with rural roots myself, I just must comment that this ought to be required reading for everyone — especially aspiring young people! Looking forward to continuing following, thanks for the smiles. When colostrum replacer became available, a lady friend said, “It’s a woman’s world!” Even Carhart recognizes women are farmers and ranchers, look at their line of clothing. Historically women have always been there slogging alongside their husbands, but the men are the ones that history dotes on. That too is changing with women authors digging deep in their research. I’m really sorry about the girl and the FFA judge. That is just wrong. 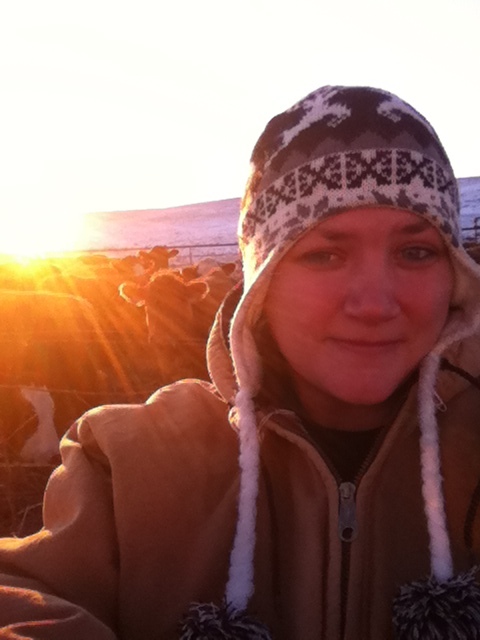 Good comments Nikki – some of the best cattle breeders/farmers that I know are ladies … and they are passionate in what they do.